Authenticity is a word that’s bandied around to sell everything from cashmere to coffee. But there aren’t many companies with more of a claim to it than Sunspel. Founded in the 1860s, the British brand started out supplying underwear and t-shirts to the British Empire. Then, in 1985, it achieved a different kind of renown as the co-star in Levi’s infamous laundromat ad, in which model Nick Kamen stripped down to his crisp, snow-white Sunspel boxers. They were crafted at the company’s factory in Long Eaton, where the company’s still headquartered, as it has been since 1937. It’s an unassuming building, cast in the same red brick as the terraced houses just a few doors up. The only clue to the history inside is a pale blue sign above the door, which reads: ‘Sunspel Menswear Ltd Canvendish House’. 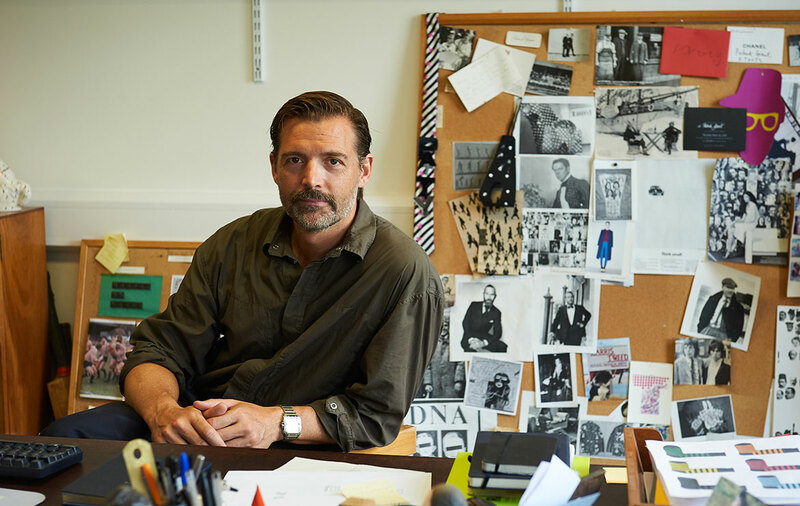 That sense of longevity extends to the people who actually make Sunspel’s clothes. 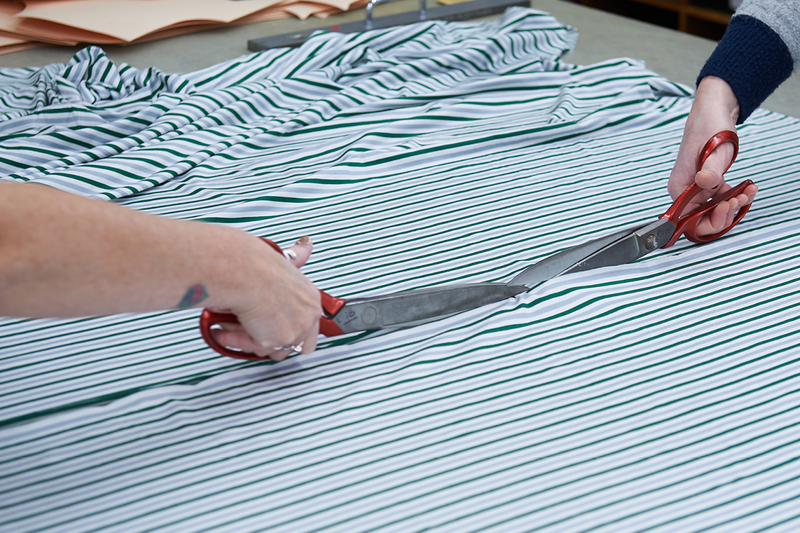 It’s not uncommon to find seamstresses who have been working here for decades, or mothers working alongside their daughters. "Val, one of the seamstresses, will have worked in the factory for 50 years next year, which I find unbelievable," says head designer David Telfer. He’s a relative newcomer, having joined the company in 2016, but he greets everyone who works there as if he was born on the factory floor. The atmosphere there is calm, industrious, soothing. They mostly make t-shirts here. In fact, every Sunspel tee is cut and sewn by hand within these walls. As Telfer explains, they try to match the garments to the skills of the factory. "We won't tell [the Long Eaton factory] to make a coat. They can do it, they've all got the skills, but it's not going to be the right use of their time." So instead, they make t-shirts, and vests, and some womenswear. 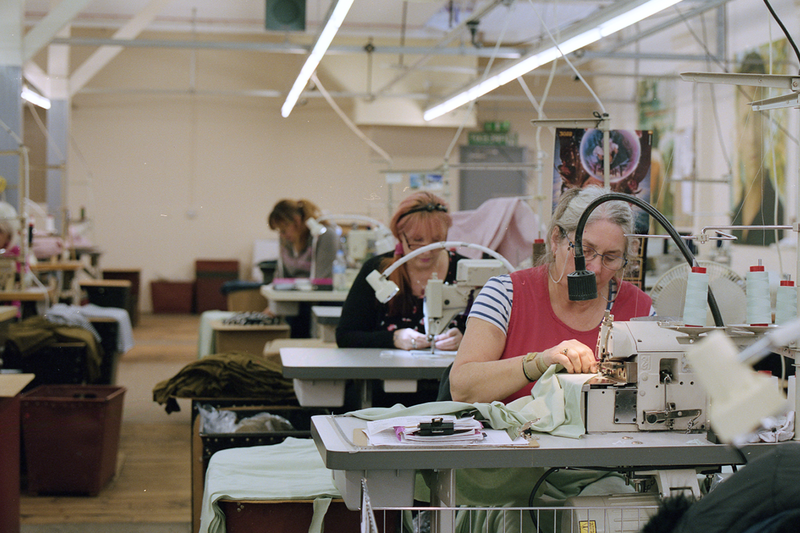 They leave the cashmere to Scotland, some knitwear to Leicester and the rest to family-run factories in Portugal. Where possible, Telfer elaborates, they try to make the clothes in Britain but "just because 'made in England' sounds nice, that doesn't necessarily mean it's always the best product". When they were looking for a specific knitting machine, built more than 70 years ago, they discovered that there weren't many of its kind left in the UK. So they went to Portugal instead. 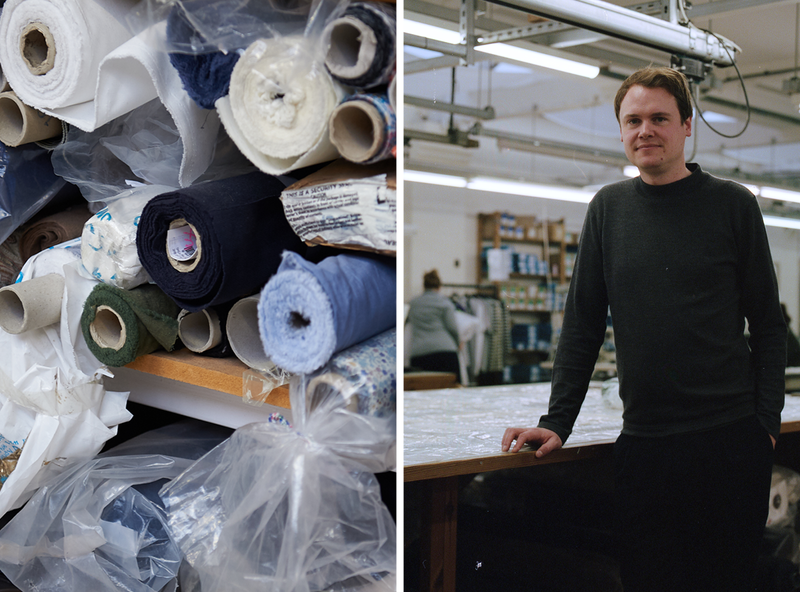 It's that dedication to quality that’s made Sunspel one of Britain’s great manufacturing success stories. But despite its heritage, it’s far from antique. In recent years it’s dressed 007, collaborated with Dr Martens and avant-garde designer JW Anderson, and even created a collection of gym kit, with running brand Iffley Road. 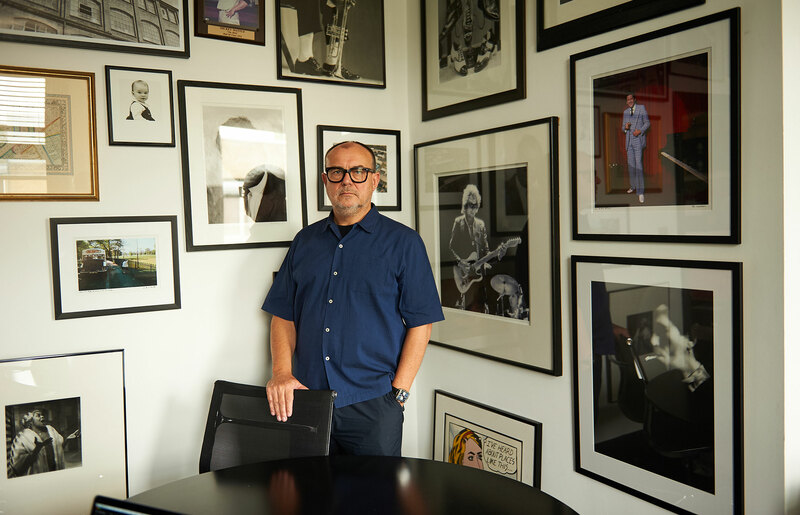 To talk all things old and new, we sat down with David at HQ over a cup of tea, and 158 years of history. 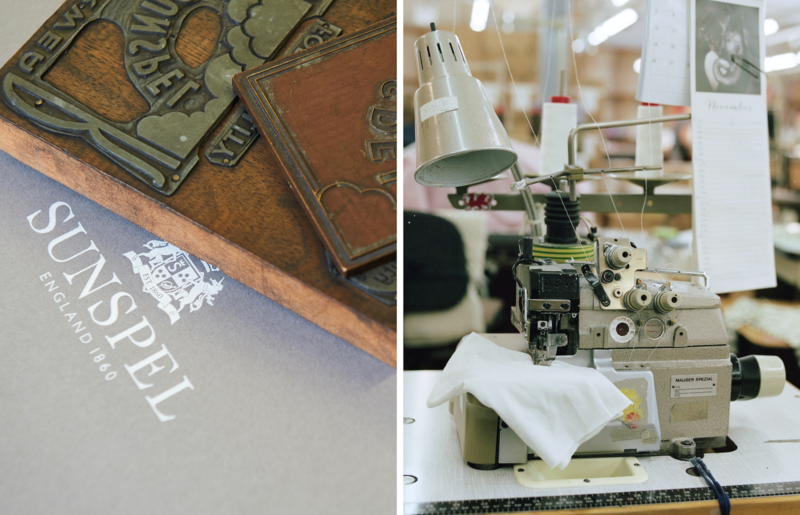 What do you love most about working at Sunspel? The expertise. When you run your own factory, you have to know everything. It's extra-long staple Californian pima cotton, it's getting spun in India and then sent to be knitted and finished in Leicester. They train [the factories] over the years to make that exact fabric, which is quite crazy. Who’s the man that you design for? We do have a customer that has been buying Sunspel for years and years, so we obviously don't want to put them off what we do. But what's quite nice is that we relate to a lot of people, because what we're all about is quality. When we talk about how we design, we're always trying to bring that element of 'the perfect t-shirt' into everything else we're doing. So we are designing for the 35-year-old creative, but actually, we're relevant to any age because what we're designing is a product that works, and lasts, and should work in most people's wardrobes. Now we have a full collection of products where we would like you to think 'this is the perfect chino', 'this is the perfect Oxford shirt', 'this is the perfect jean'. And especially knitwear, because it's really linked to our past. The Sunspel stamp is really trying to not make the product offensive or too visual or too designed. It's understated, but it's not boring – that's the key thing. As a heritage brand, we look forward more than we look back because we try to be modern and contemporary. But we have the history to back it up, so it's kind of that balance. [Laughs] I'm not afraid of the future because I think we just have really great products. Sea Island cotton is a big part of that. There's an annotated map in our archive, which we made into one of our silk scarves a couple of seasons ago. It's what our founder, Mr [Thomas] Hill, used to find the Sea Island cotton. It's the rarest cotton in the world and it's in the West Indies, so we get ours from Jamaica. What's so special about it is, when you pull apart the yarn, the staple length is very long, which just makes the smoothest garments. We make a whole range of Sea Island cotton, which I think is the most beautiful product to wear as it's soft, but it also lasts because it doesn't break down as quickly as other cotton garments. 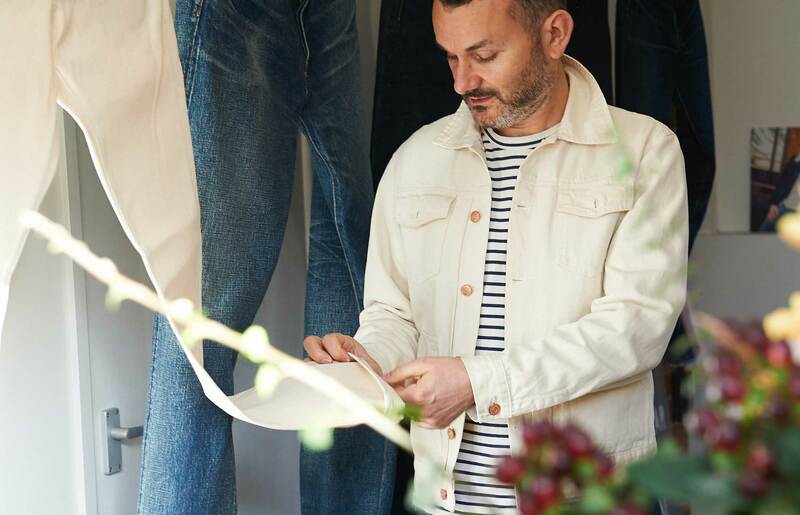 What is Sunspel doing to champion sustainability? We have increased organic cotton a lot; we weren't using it a couple of years ago and from next year we'll have around 100 products in organic across womens and mens. It is something we're growing but it's not the answer, that's what we see. Some qualities are better if they're not organic so it's really thinking about, actually, if something is a really high-quality product that lasts and someone really loves it, then they're going to keep it and they're going to take care of it. That's really where we come from on that. We are discussing factory waste because not many people own their own factories, whereas we are in control of that waste so we try and make sure we use it in the right way. But we're still working on that, there are definitely things we can build on. For someone new to Sunspel, what’s the thing that really sums up the brand? I'd say it's the t-shirt and the polo. Everyone should have a white t-shirt and I would boldly say ours is the best, because of all the things that go into that t-shirt and the years of refining. I would also say the Riviera polo shirt in navy – it’s the one worn by Daniel Craig as James Bond. You’ve previously collaborated with Iffley Road on a performance collection. Are we going to see Sunspel’s spin on athleisure? We are not calling it athleisure, but we are introducing a range where we've taken our best-selling products – like the t-shirt and the polo – and we've introduced it in a Tencel, dry-release fabric. So it's got the performance values, but it looks like a normal t-shirt. I think that's where we fit in. If we started going all athleisure, I think it wouldn't work for us because we're very natural and pure and we're not too branded either. It's introducing it in a way that works for us and I think that's hopefully what the customer wants from us.